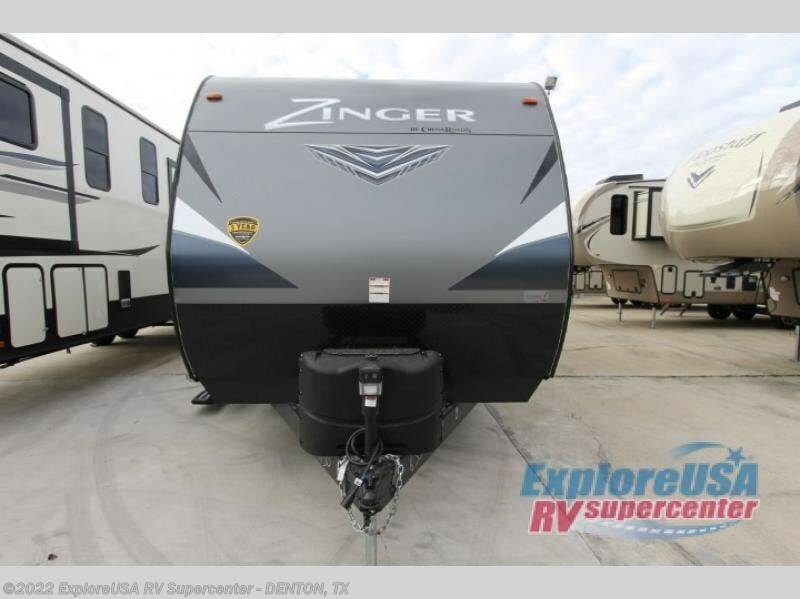 With sleeping for nine or ten, this Zinger bunk model is a great choice for your growing family. 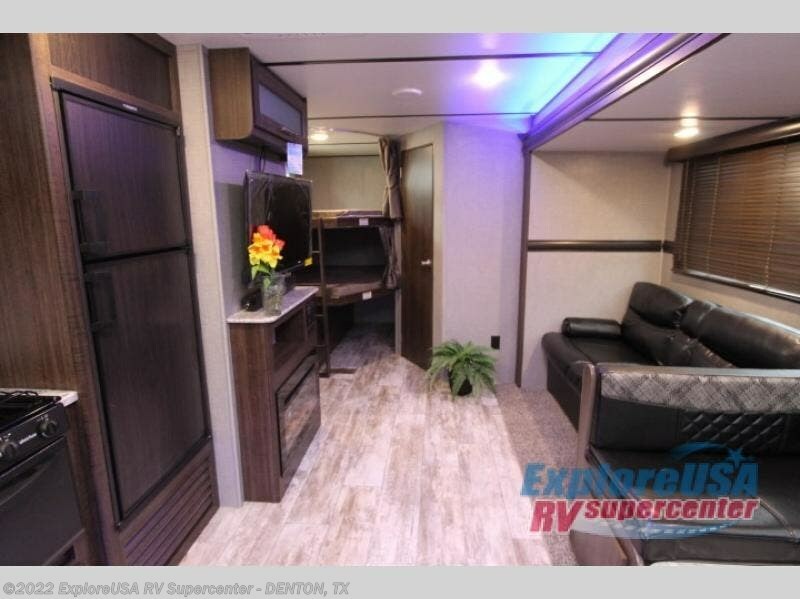 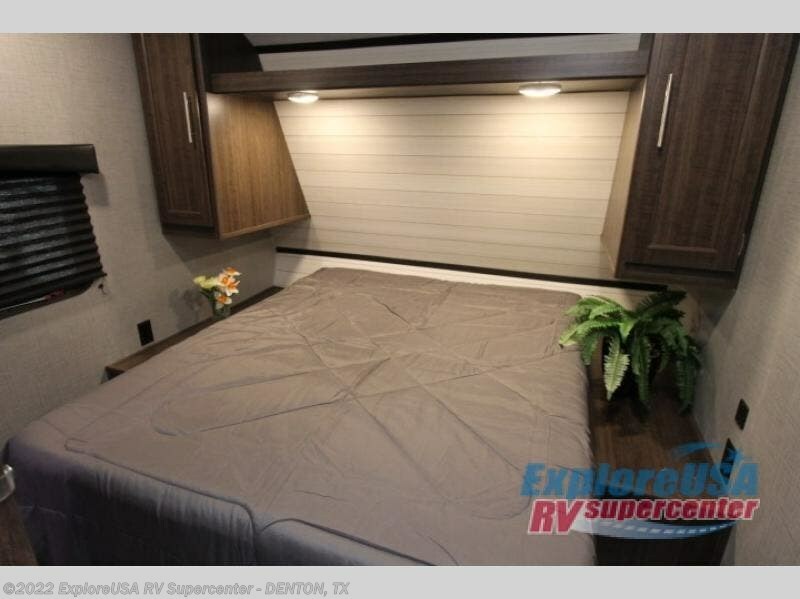 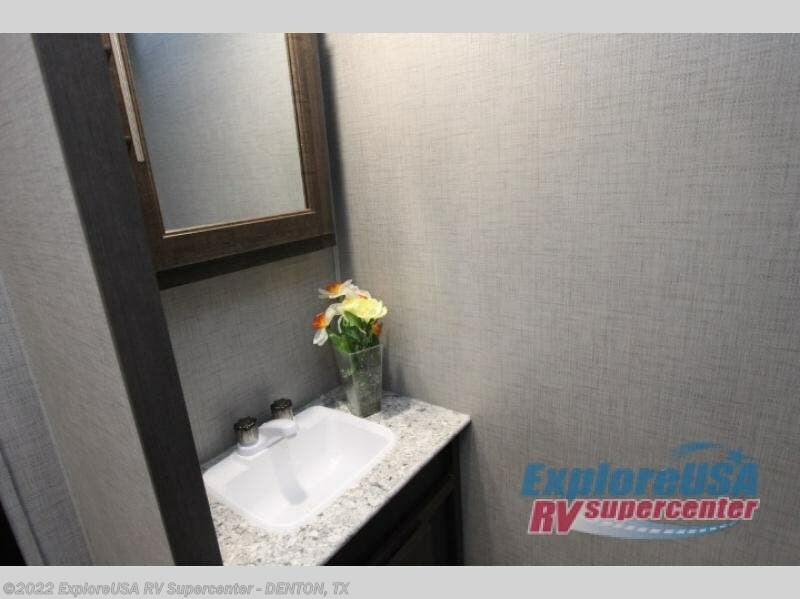 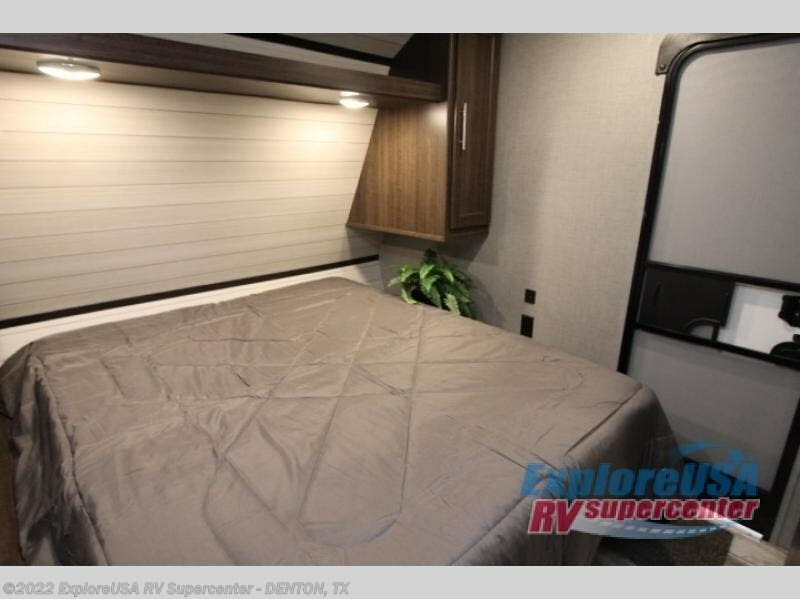 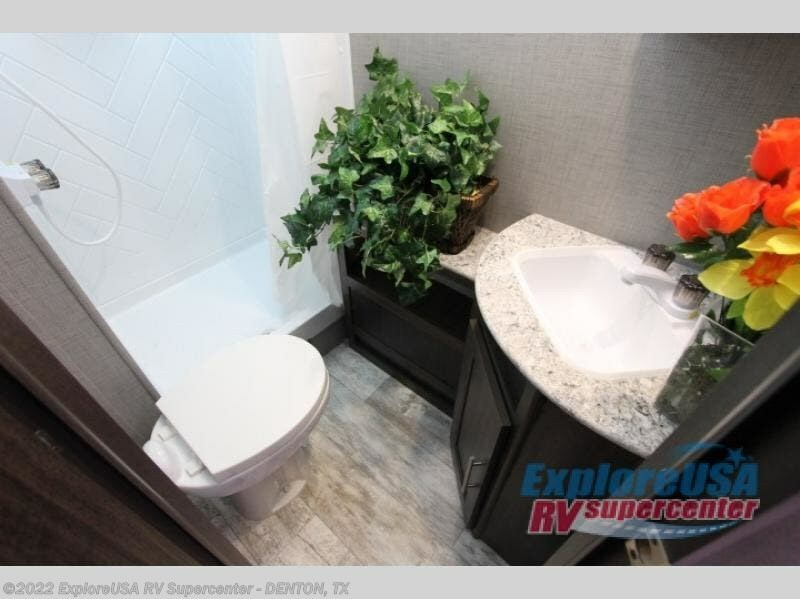 You will find ample space throughout for everyone to enjoy while camping in your favorite locations. 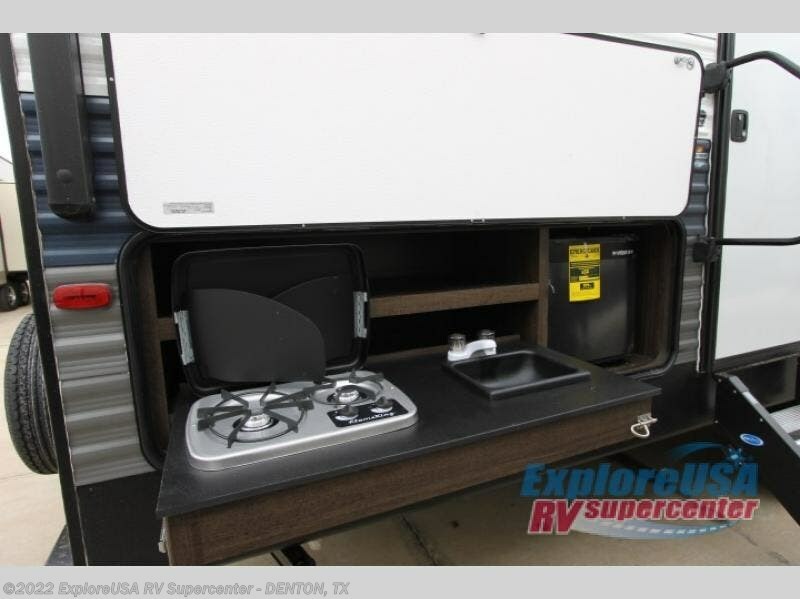 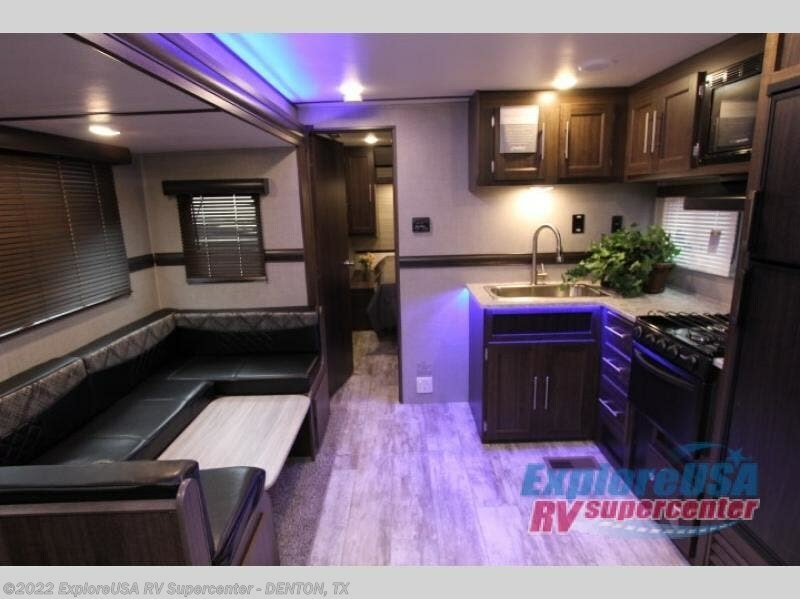 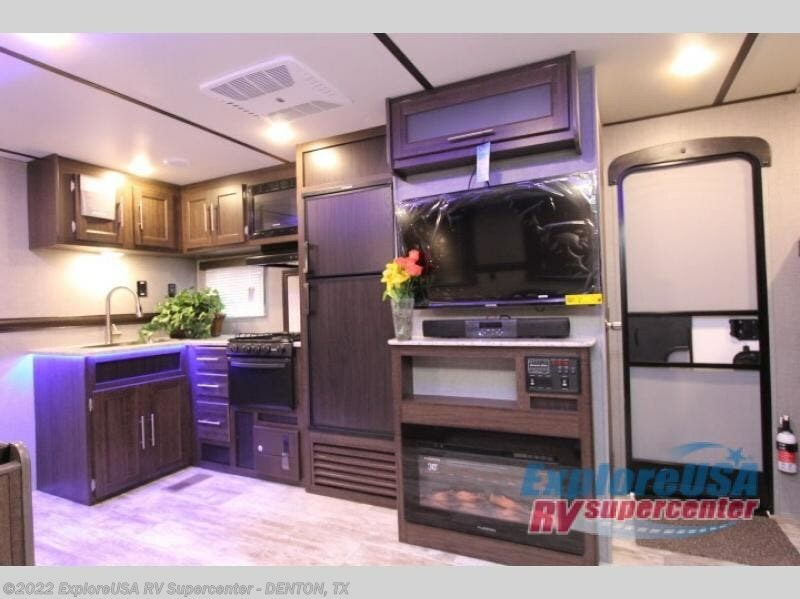 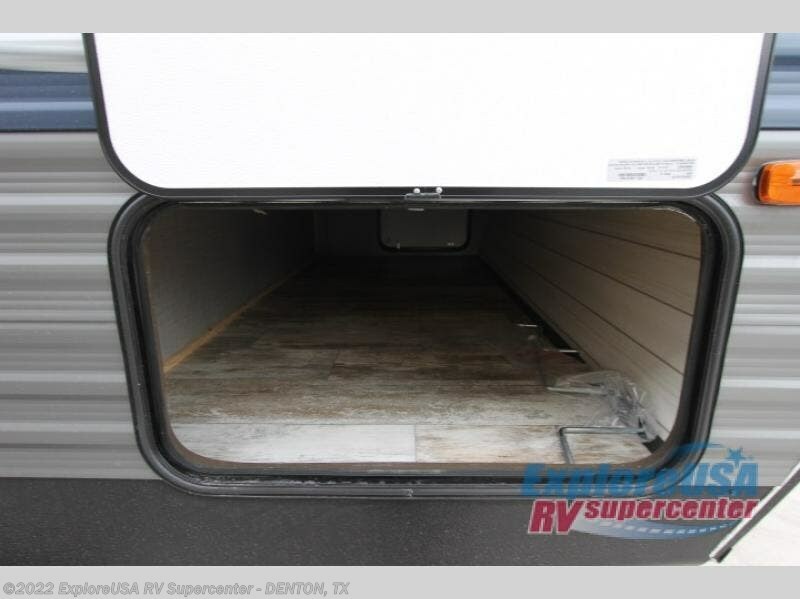 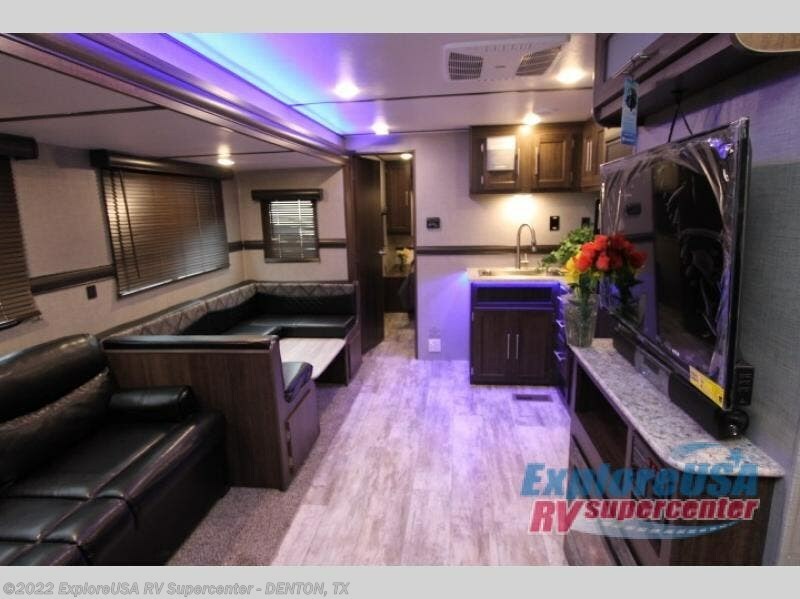 There is a set of 50" x 74" bunks for the kids to bring along a friend or two, plus the outdoor kitchen will make it easy to cook for your larger crew. 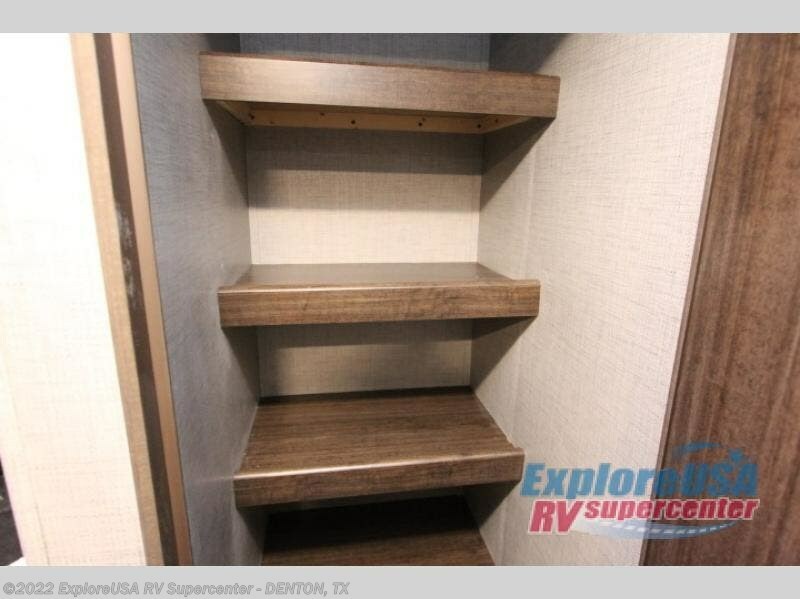 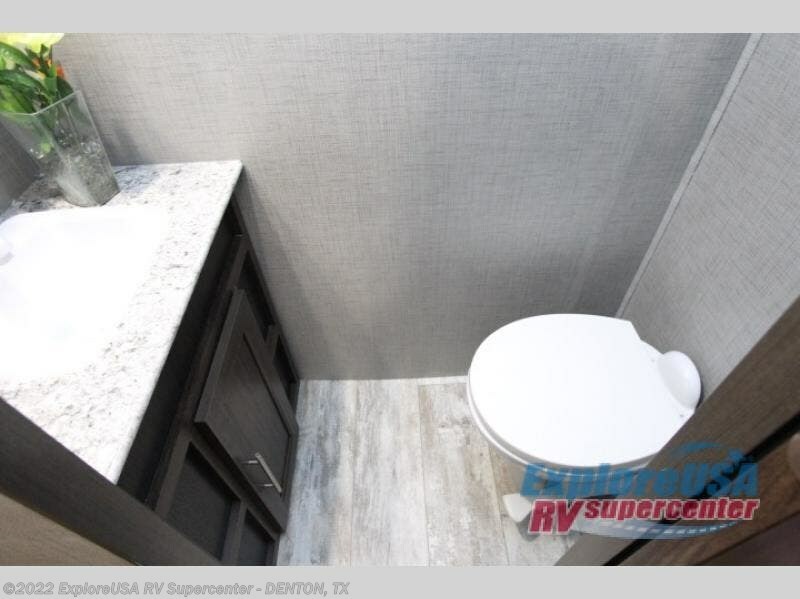 The rearmost entry door comes in near the bunks and makes accessing the full bathroom easy as well. 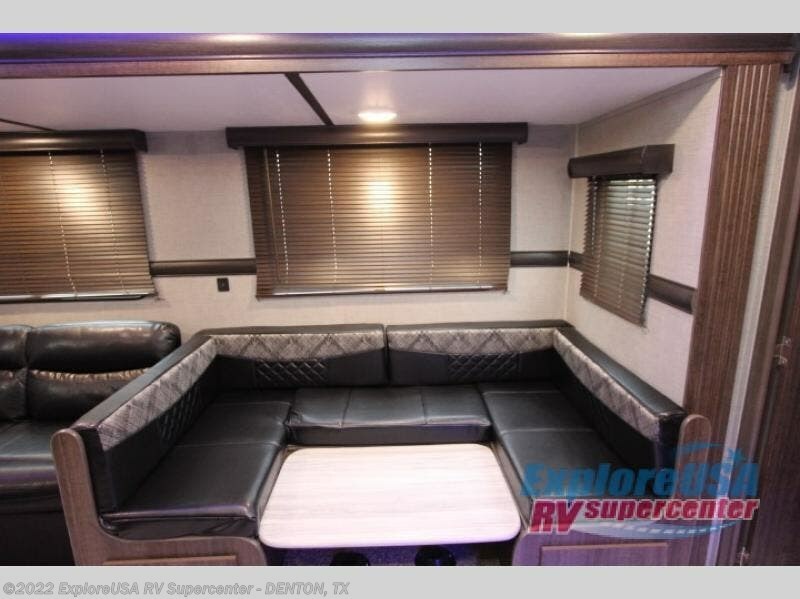 For mealtimes, you will find plenty of seating around the 42" x 77" u-shaped dinette found within the large living area slide. 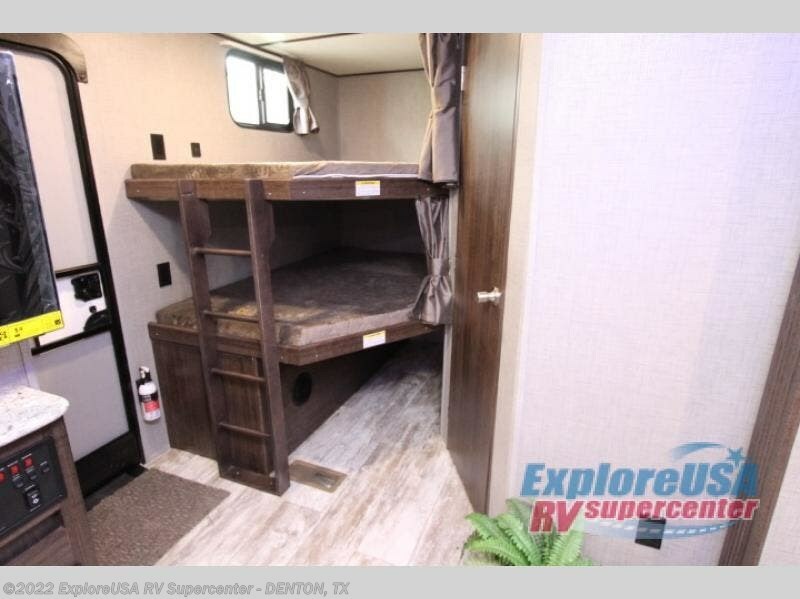 This can also accommodate a few more guests, along with the jackknife sofa next to it, when it is time to get some sleep. 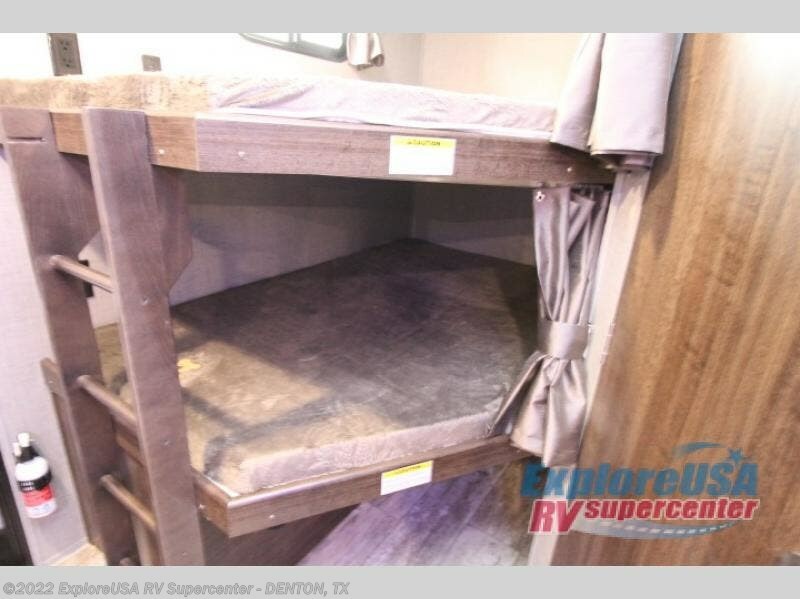 Just convert each one to a sleeping position and viola, extra bed space for your friends in a snap. 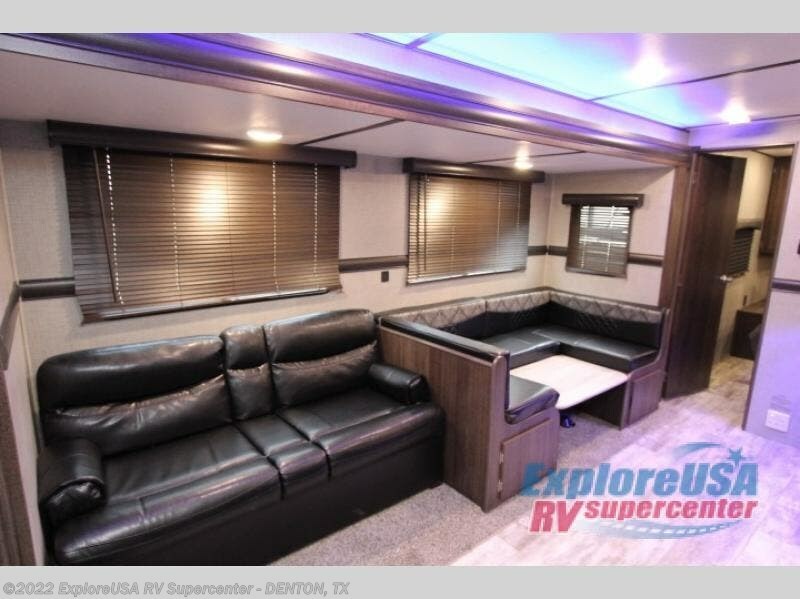 There is even a fireplace opposite the 64" jackknife sofa to keep everyone cozy and warm on a cool spring or fall night. 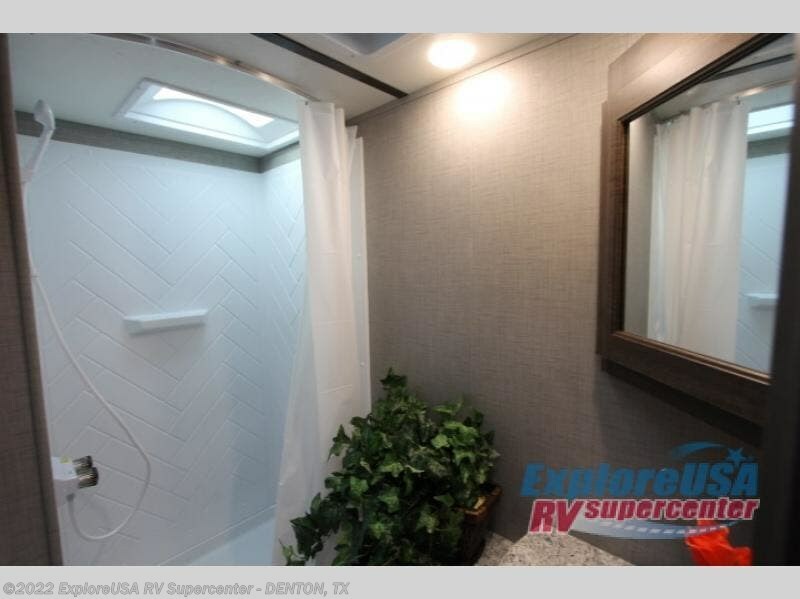 Mom and dad will also love their private master bedroom with separate half bath, and their own private entry/exit door too. 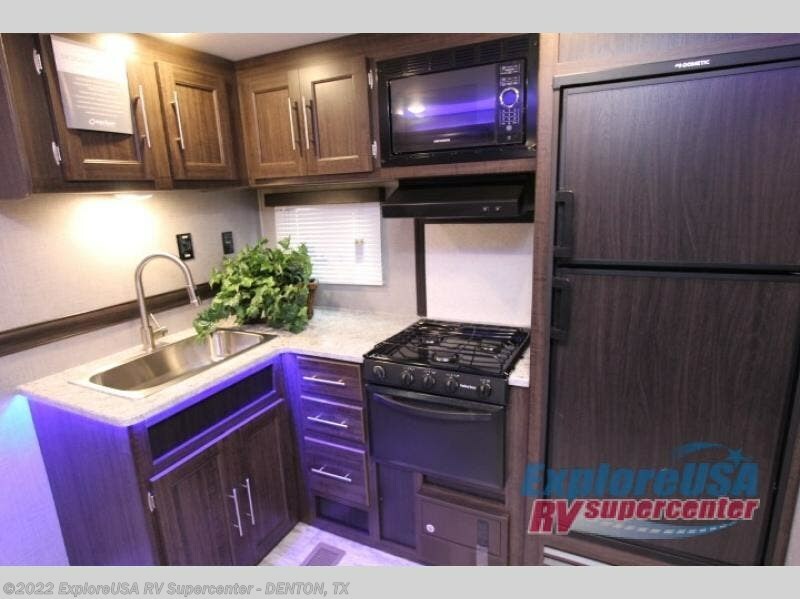 This makes it easy to slip out in the morning and start a pot of coffee on the two burner cooktop without disturbing your sleeping guests in the living area slide out. 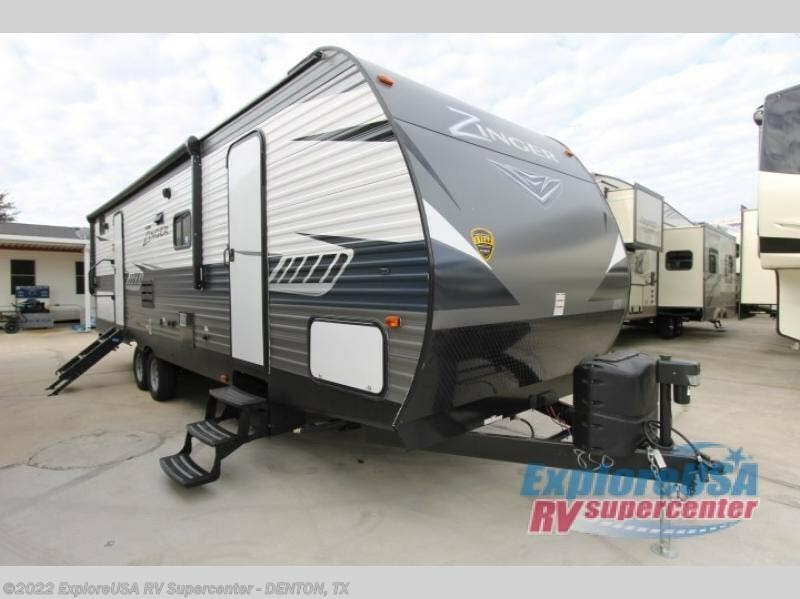 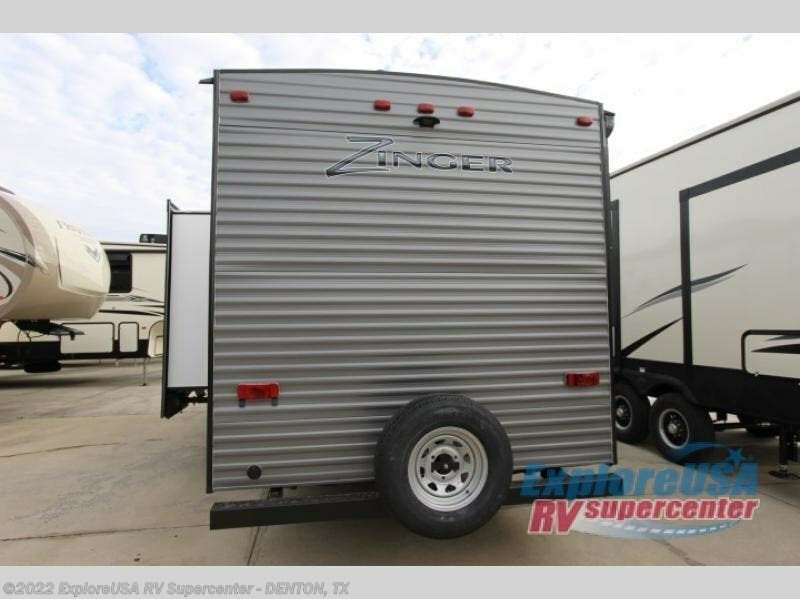 Check out Stock # D2594 - 2019 CrossRoads Zinger ZR298BH on crossroadsrvsource.com!